This box was designed to help you create a sacred space for manifestation, setting intentions, getting in touch with what you are creating and are wanting to create in your life. Start by reading the rest of this card, brewing a cup of tea, putting on your talisman, reading the book for inspiration and writing the intention you’ll use during your yoga nidra practice. Handmade Recycled Notebook – This month we’re exploring manifestation and what we’re creating in our lives. This gorgeous notebook has been handmade with love in India, and is ready to absorb all of your intention setting, dream journaling, story writing, and drawing. The Seven Spiritual Laws Success by Deepak Chopra – “The Seven Spiritual Laws are powerful principles you can use to fulfill your deepest desires with effortless joy. If you put them into practice, you’ll realize that you can manifest whatever you’ve been dreaming about.” It’s a quick read by Deepak Chopra with very practical ideas to help you realize your deepest dreams. Curate Snack Bars – Curate Snacks is in pursuit of brilliant combinations – their bars are nutrient-dense and wonderfully surprising. Take a break, indulge in a tasty snack (or two), and contemplate how we constantly create and curate even the simplest things in our lives. Chakra Love Talisman made with Lapis Lazuli and Vegan Cord – Lapis Lazuli is known as the manifestation stone. It clears away energetic muck in your third eye allowing the thoughts and ideas with the strongest energy around them to come forth; which in turn increases mental clarity so we can focus on our goals. Hold your talisman as a touchstone during meditation or simply wear it to receive its high vibrations all day. Wooden Tea Box – This little wooden keepsake box comes full of Indian tea, ready to be brewed, and enjoyed during a manifestation session. Then save the wooden box as a treasure trove for your small keepsakes. 21 Drops Essential Oil Therapy Focus Blend – Use the Focus Blend essential oil during one of your manifestation sessions to promote clarity and concentration, allowing you to stay on point. Apply to wrists, temples or inhale deeply throughout the day. Recycled Varanasi Silk Sari – Repurpose or use in your sacred space. This month is dedicated to Shiva, the auspicious one. Shiva is one of the three major deities and the original yogi. He’s the god of destruction, but is also a great protector. 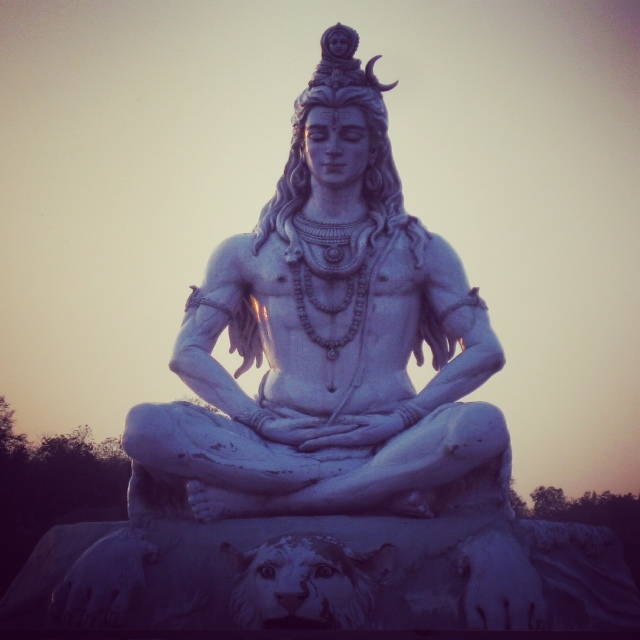 Learn more about Shiva, his blue throat, and the celebration that takes place in India during the month of July to celebrate him. 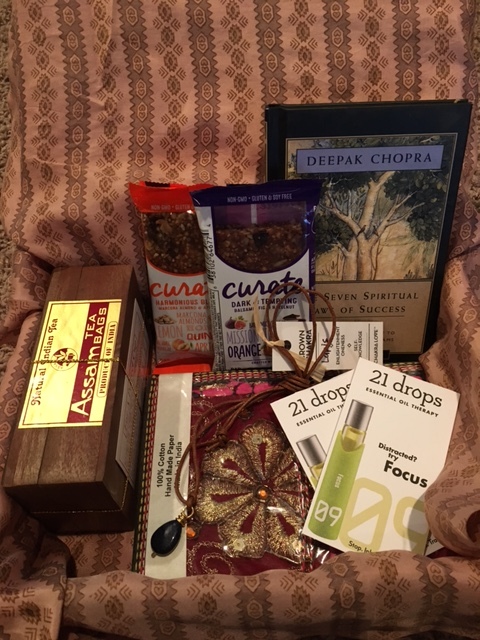 Join Ashi Box at http://www.ashibox.com by 5:00pm Mountain Time on July 15th in order to receive this unique Ashi Box. All boxes will be shipped on July 20th, so sign up now! If you have any questions, please contact us at info@ashibox.com.